Hotness personified; Yay or Nay? This old man has managed to give some serious competition to the new generation kiddos, in spite of his age. Well well, the truth enfolds! No grandpa here but our very own Top Crossfit competitor Kenneth Leverich. 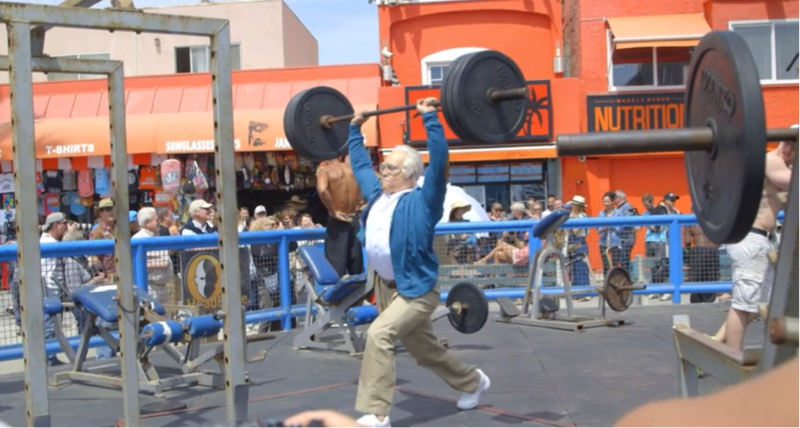 Kenneth dressed up as an old man with pristine white hair went to win million hearts at the legendary Muscle Beach Venice, California. Watch the video closely; you will notice the reactions of the audience and fellow competitors. They were more worried than bewildered at the old man’s stunts. They were concerned about the consequences if the talented grandpa pulled a muscle or broke his joints. However, after few swift dead lifts at the gym, all we could hear was cheers and standing ovations from the spectators. To add more spice to the event, the old looking Kenneth Leverich even flourished quite a number of upside down push ups. This video was shot and posted by Thrillist shows on their facebook page. 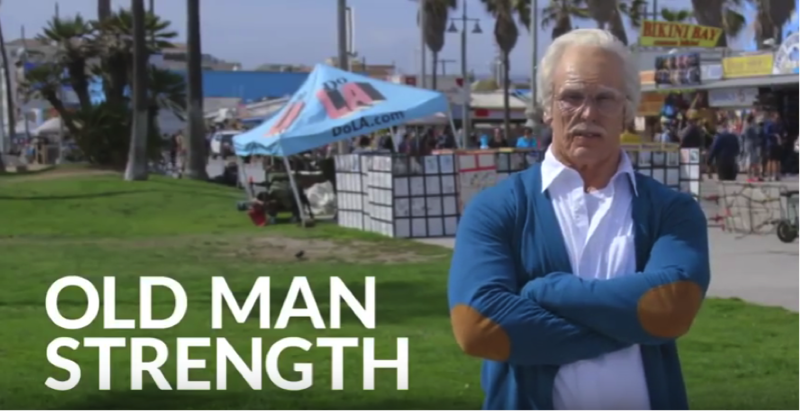 The clip definitely reminds us of a similar stunt maniac Uncle Drew a.k.a 2012 NBA athlete of the Year, Kyrie Irving (Video Link), where he dresses up as an old man and performs some massive basketball tricks. Kenneth went through a complete prosthetic makeover from a renowned makeup studio. And his patience gave way to astounding fan followers. Watch Kenneth’s passion for work out in reality here.